a punch up close and effectively. Maybe not. when we were so certain of the guilt. Bewildered. who would've thunk? Ugly. Small. Law. Since the murder of Trayvon Martin and the acquittal of George Zimmerman, my hands have been cold and my head has been spinning. Lyrica and Ibuprofen have been ineffective. Only poetry has helped. And thoughts of new ways of treating conflict proven by Nelson Mandela in South Africa. And lots of prayer. 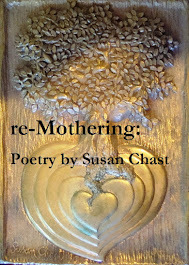 (1) Velveteen Rabbit and her JULY 17, 2013 poem after Tisha b'Av "WATER FROM THE SOURCE" which addresses blessings fasting and growing while in "the fallen temple of justicemothers wailing for their sons --"
(2) Mama Zen at Another Damn Poetry Blog, where her poem "Not Yet" releases both astonishment and anger. (3) At her blog, LaTonya's "Lobster Boil" releases both hopelessness and anger. And there will be more to expand this list. Posted at Poetry Pantry #159 at Poets United. Painfully true...I still can't believe it. A sad commentary on how far our society has not yet come. Well done, Susan. I am amazed there were not crowds in the streets over this. I read the poem after Tisha b'Av. It is spectacular. But it wont let me comment and I finally gave up. Thanks for sending me there. Sherry, there have been demonstrations across the country and many more are scheduled for several months ahead. Your words echo. And I so glad to learn you are Quaker. I was a babe in fellowship. My first Meeting, I knew I was home. Meeting is quite a distance and I no longer have a car but I am forever grateful to Ann Arbor Friends. that we assume we will ever have justice in this world is rather absurd...we are in the end a solution to the equation that we created a product of the machine which we have created and are a part of...only when we stand up and change it...then again it will be our justice but will it be for the next? You have made your points strongly and clearly, Susan. It's heartbreaking that we are stuck in this place...seem incapable of changing that which has gone before. I put this link above. Thank you for all your thoughts LaTonya! I know. I really wanted to express my gratitude! I know; I don't know. The justice Mandela encouraged in South Africa involved individualizing each crime/criminal. It takes time and care. I pray that we recognize we have both. I derive hope from the great many changes we have made, the many choices we have. We can never take justice for granted, I learn over and over. We were so certain that the court would see the evil of the gun shot, we forgot to watch the system. Let us say Never Again. Thank you MARY. Thank you too for keeping the Pantry and reading the poetry we shelve here. yep, have you ever read no freedom without forgiveness by desmond tutu? No. I've read lots of small snippets from Desmond Tuto. Do you recommend/agree? I should write a poem from this. The shock of a "not guilty" verdict has so many of us in turmoil. It is often said "we've come so far" but in view of this, yet another injustice, I don't think we've come far at all. A very strong, truthful piece everyone should read. An intense and emotional piece, very fitting for this tragedy. A life that could have been saved if he would have followed four simple words "Do not follow him"